Leilani Farm Sanctuary has three adorable new turkeys, saved from human consumption. The pullets (baby turkeys) have decided that Obi, our blind rooster, is their mom! 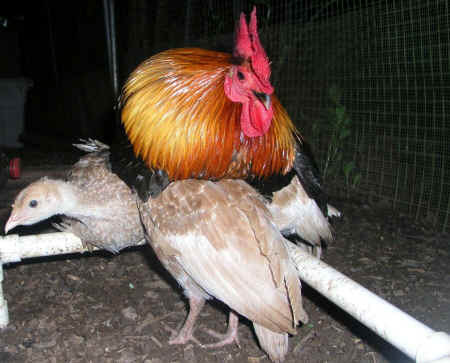 Each night, the rooster spreads his wings and keeps the young turkeys warm. 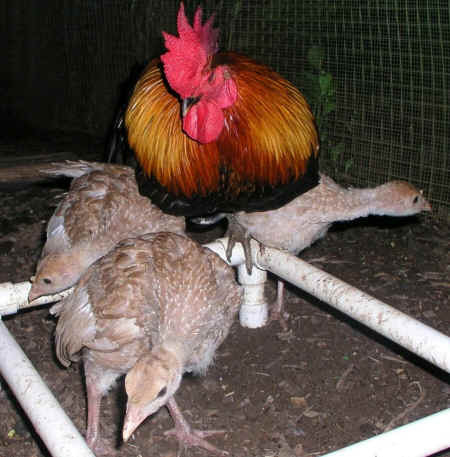 Obi takes the baby turkeys under his wings at night.